Cozy Chicks: Yet more Author Swag! The Cozy Chicks are hootin' and hollering in Bethesda, MD this weekend at the annual Malice Domestic conference. This year we gave out very cute little totes filled with Cozy Chicks author swag. Oh, you didn't get to go to the conference? Well, fear not, we're giving away the same Author Swag to five of our faithful readers here on the blog. Sadly, the last time we gave away swag, two of our five winners never claimed their prizes. That's why this time we're asking that winners send us an email with their complete snail mail address. This way we won't have to go looking for you. All you have to do is write and tell us why you think the Cozy Chicks should give away next, and why you'd like it. We'll announce the winners next Saturday. Wow, I certainly would love to win swag. I emailed you right away. I wish you all lots of fun at Malice! Reposting to answer the question. Ok, this is a seriously SWEET bag...pink+black+skulls= wicked cute. For the next giveaway, I vote for more bags, swag, and maybe some signed books. That is an adorable tote. Who wouldn't want one---more giveways with that sweet tote and of course a book. Hope you're having a great weekend. I love surprises in the mail. Have fun at the conference. That tote would be a perfect addition to my collection of bags! I've got to run now-but I'll be sure to e-mail once I return from the Herb & Wine Fest! I'd love to win that awesome swag! For the next giveaway- anything themed- for instant if it's a donut mystery book, then send some donuts and coffee, if it's a knitting circle that solves mysteries, then send a knitted scarf or tea cozy. Personally, chocolate is always great- though maybe not for the summer months! And I agree that anything signed it good! Incredible giveaway. I bet the Malice Domestic conference was terrific. I will be sending my email soon! Cozy Chicks should give away books. There never can be too many, and they need not be new. Perhaps you have some of gently used copies of books by authors who inspired or encouraged you. I look for new authors all the time and believe you could suggest some great options. Would love to hear, and to have, them. Recently retired with time now for my favorite thing, reading for pleasure, without worrying about tasks left undone (still undone but not getting paid to worry or work late). Have said I just recently discovered cozies, but Dame Agatha was part of my earlier life--just lost in the turmoil. I wish I had time and funds to go to the Malice Domestic event but that was not possible. I love your books. I'm emailing my suggestion for the next give away as soon as I'm done with this. Thanks for the contest and I've sent an email off to you. Figured I'd post my idea here as well as on the email. An idea that came to mind was a prepackaged contents for baking cookies such as the chips, flour, sugar, etc - just add milk/eggs and bake, maybe with a cookie cutter of skull and cross bones? 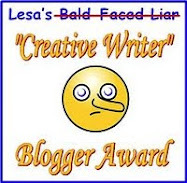 You could add in bookmarks, post cards and so on from the various writers on the blog. My email has been sent. Swag is always nice to try to win. I am cozying up with a cozy myself today. As to what you should give away next, totes and books and bookmarks are always wonderful! I'll send my mail addy as soon as I figure out who to send it to. I totally love that tote! Would be proud to carry it around. As far as future giveaways, signed books would be awsome. 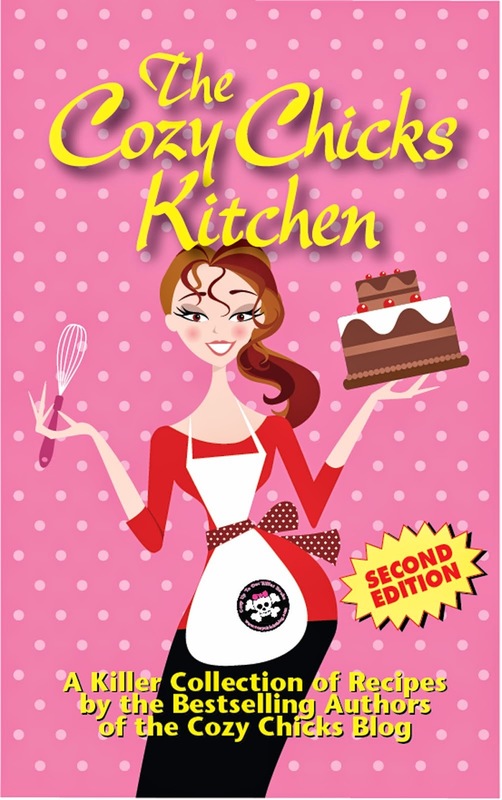 Or, how about Cozy Chicks book covers - covers that would fit over the books when traveling to protect them - with the pink/black/skull Cozy Chicks design? Have fun at the conference! Re: giveaways, I always have to vote first for books, but perhaps bookmarks or pens with Cozy Chicks emblems would be delightful as well! Hope the conference was fabulous. Cozy Chicks should give away books or bumper stickers. I'd love to have the tote to help advertise The Cozy Chicks everywhere. Think of the questions people would have about the tote. I love bookmarks. I pick them up whenever I find them. So, that would be my choice. I sent an email earlier with a couple ideas, but have thought of another one - Cozy Chicks mugs complete with the logo! Maybe with a little packet of cocoa, tea or coffee in it. Again, playing off that "Cozy up to our killer books" tagline. Just like the other ideas in my email, I think it would be a useful and cute tie-in that would raise questions when others saw me using it. A great way for us as readers to show our support and introduce others to your books. Like I always tell my friends' new babies, you can never have too many books or too much chocolate! @ Whalehugger...and everyone. I'm lucky enough to live in the heart of NY state wine country. There are many wine trails and most of these have special events throughout the year. For the Wine and Herb Fest you get a commemorative glass then at each winery along the trail you get an herb (they've branched into veggies as well now), food made with that plant (and the recipe) and wines to taste. I made all 16 wineries of the Cayuga Lake Wine Trail today! I recently wrote an article about wine trails for a web magazine-there are wineries in EVERY state and wine trails in most, so everyone interested in wine should check out what exists in their area. Of course, they're not limited to the US either! Hmmm who wants to write about a murder on a wine trail? I like pins. I think they are fun to collect. Who doesn't love swag? I love totes, T-shirts, mugs, socks and bookmarks. I'll be sending an e-mail soon. Thanks for the chance! Yes, I know, not only have I already made a comment, but I've also sent an email, too...what can I say - I really enjoy brainstorming, so when someone gives me something I just go nuts! 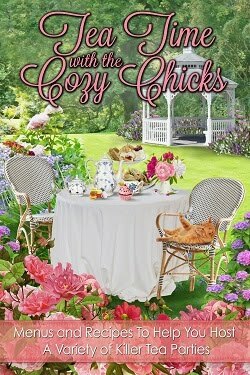 Anyway, what about a bookmark or magnet that is a check list of all Cozy Chicks books published to date. A great, useful way to keep track of all the ones I've read and all those left to read. I got the idea last night as I was trying to help my Grandma get books. She keeps lists of those she has read, but then cross-referencing those to author websites to figure out the ones she hasn't read was, well, time consuming to say the least. Hope everyone is enjoying their weekend! Thanks for putting up with me! Oh awesome! Love the pink tote! How about giving away author memorabilia? I have received some cool things in the mail over the years from authors like booklights, postcards from the authors hometown, makeup, keychains, and even jewelry. Books are always a fun thing to get! Would love, love, love to win! Personally, I think any swag is great!